Renault F1 Driver Carlos Sainz posts third-fastest lap time in both practice sessions ! 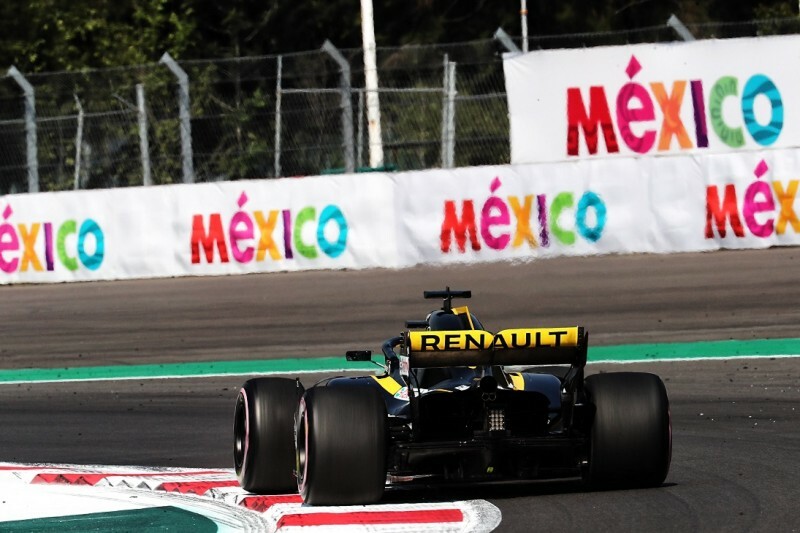 Both Carlos and Nico Hülkenberg were inside the top five all day at the Autódromo Hermanos Rodríguez, with Nico fourth fastest in the morning and fifth fastest in the afternoon. Alan Permane, Sporting Director - Technical programme, noted that in FP1, both drivers ran exclusively with the Hypersoft (pink) Pirelli tyres. He also noted that in FP2 Carlos ran with the Supersoft (red) tyres whilst Nico ran with the Ultrasoft (purple). Both drivers also used the Hypersoft in this session. Marcin Budkowski, Executive Director: "We showed good performance on single-lap runs and showed strong pace on the long runs with both drivers. We completed our programmes without any issue, including aerodynamic tests for correlation. Tyre management is a real focal point at this track, with the added challenge of temperature and weather changes forecast for tomorrow. Today’s performance was nevertheless promising for the rest of the weekend."